Take a look at the puppy pics page. AKC registered Flying Lady Foxglove is a Fox Red (dark Yellow) Labrador Retriever that was born in late October of 2005 at a home breeder in Mountain View. 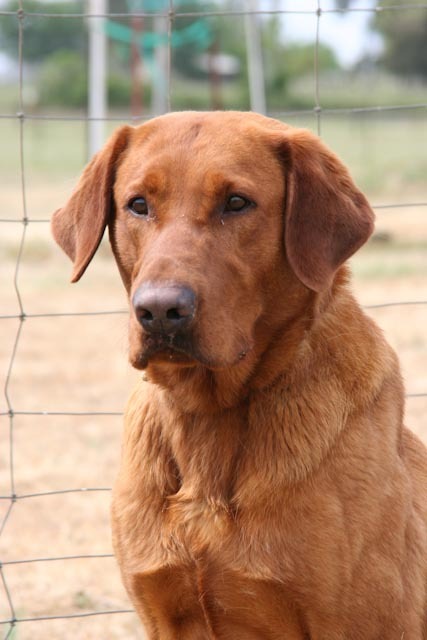 She was breed with Willson's Duke Rijae Hall a Fox Red Labrador Retriever whelped in early 2006 by John Willson of Willson's Fox Red Labradors. 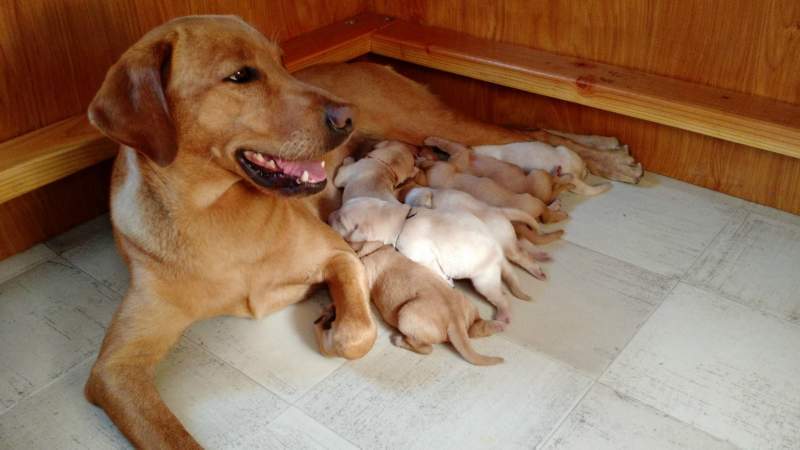 FourPaw Labradors will whelp this litter in March and the puppies will be ready to head to their new homes in mid-May 2010. Both dogs have a high desire to please and are hard drivers in the field. 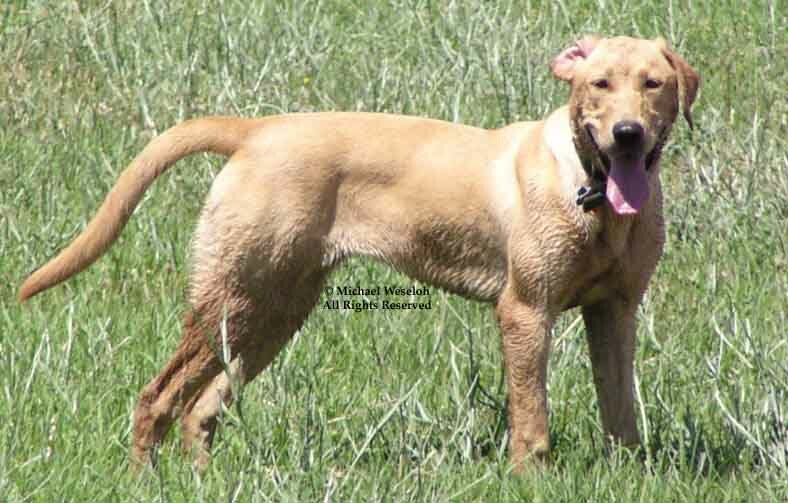 The goal of this breeding is to maintain strong athletic ability that American Field Labs are known for. Re-enforce the hunting/serving desire in the puppies. 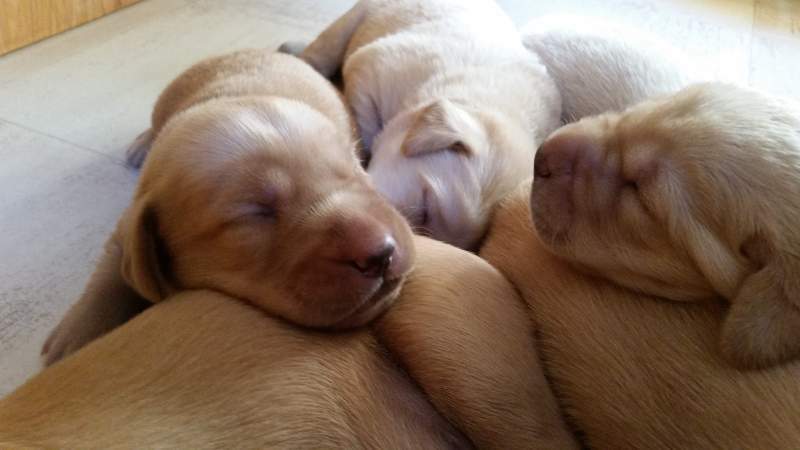 Bring out the dark end of the yellow spectrum in the puppies coats. But of utmost importance to us is to maintain good temperament in the pups for the home that also carries over into the field. Please take note that these will be dogs that can go the distance that will require daily exercise to keep them at a healthy weight and to keep them happy.